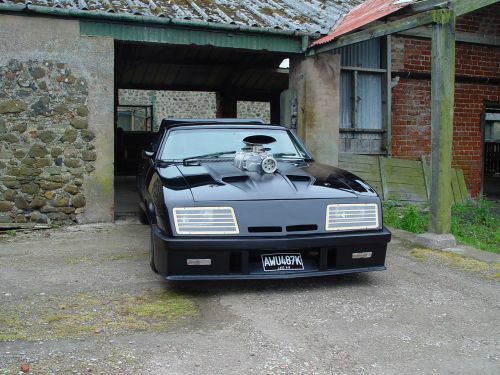 If you were asked to name the most famous Australian car in the world, bar none, then this would be the answer - the Interceptor from the ‘Mad Max’ movies. 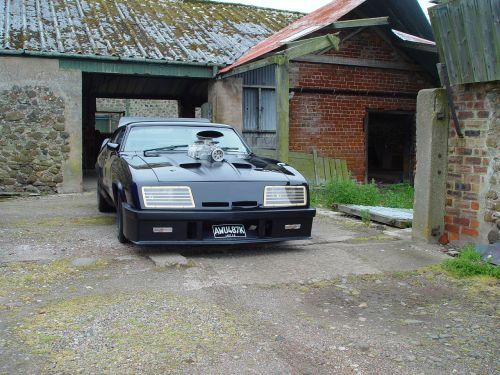 Resulting from a twenty year fascination with the car from ‘Mad Max I and Mad Max II’, Adrian decided that there was nothing else to do but build himself his own. 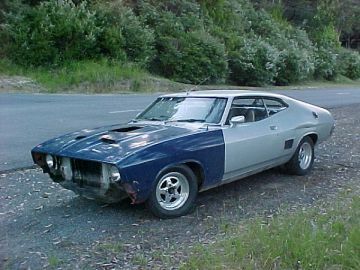 Despite many extravagant claims, not many people outside of Australia realised that the movie car was based on an XB GT coupe, and it took a burgeoning interest in the movie cars in the U.S. to encourage an enterprising company to start importing XA, XB and XC coupe into America. It was from one of these companies that Adrian bought his XB coupe and had it shipped from Texas to here. 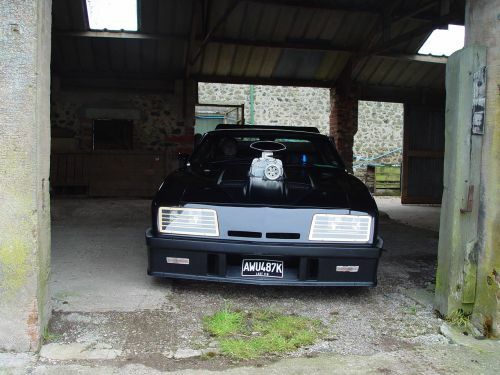 As you can see from the ‘before’ shot above, the car has come a long way since its arrival in the U.K. and is a credit to Adrian’s dedication, skill and enthusiasm. 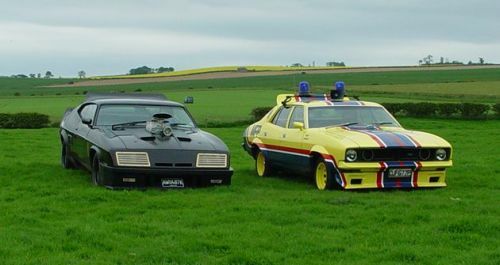 Over the years since the movie, there have been several individuals and companies in Australia who have built Interceptor replicas, and along the way, these people have developed or replicated the parts that the original builder used to create the movie car. 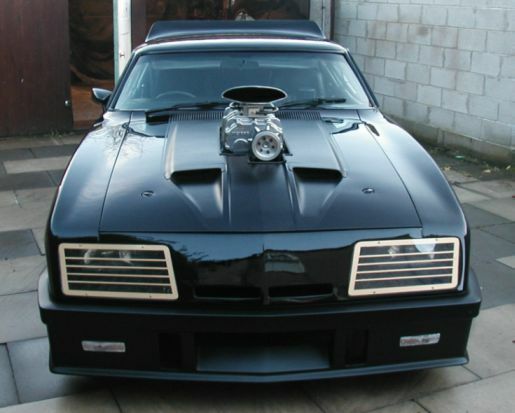 The distinctive front end used to be commercially available in the seventies for Falcons as an aftermarket customising parts. 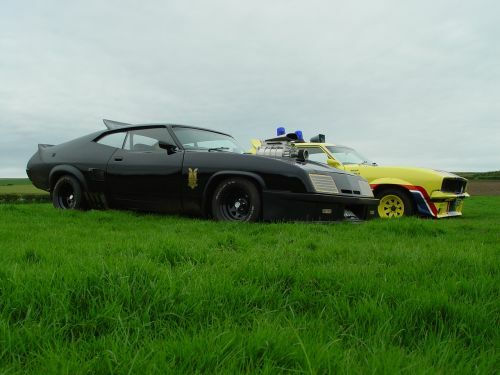 Long since out of production, it has now been reproduced as have the wheel arch extensions, the two spoilers at the rear and most intriguingly, the supercharger. 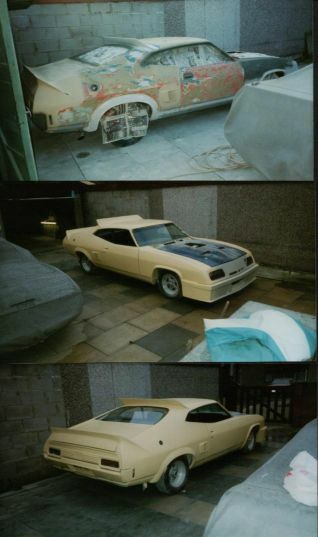 Over a period of a year, Adrian ordered all these parts and others and had them sent over from Australia, a process that was sometimes an exercise in frustration, but you can see was well worth the effort. Pray that he’s out there, somewhere. 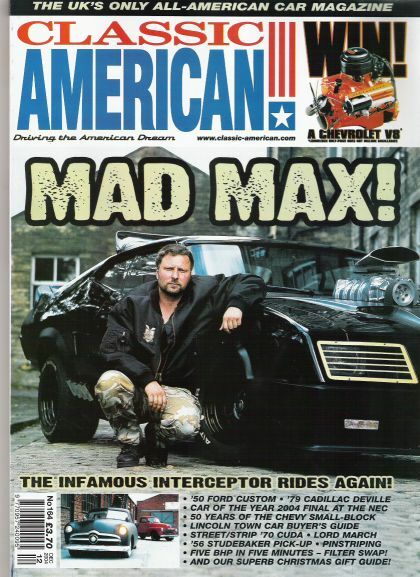 The cover from December, 2004, ‘Classic American’ magazine, featuring a four page article about Adrian’s car. Congratulations, Adrian. 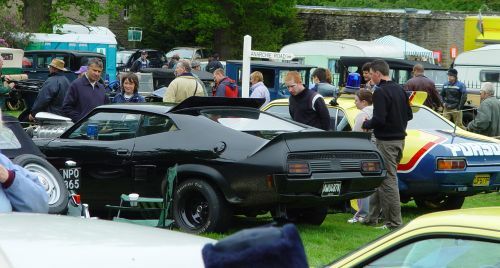 We saw Adrian and John at the Mellerstain Classic car show on Sunday, 5th June, 2005 where they amazed the crowd with their cars. Despite some rather unpleasant weather - hey, it is Scotland - the cars looked fantastic. Thanks for bringing them out, guys. 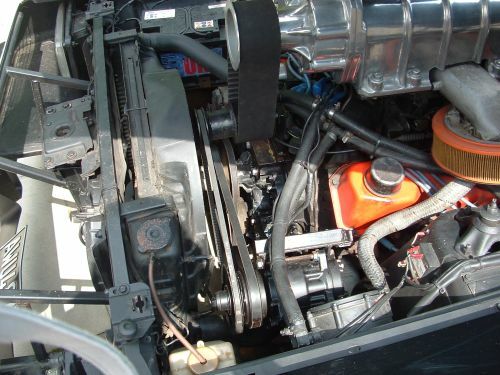 Here is a photo of the engine bay from Adrian’s car, showing how he has modified the blower set up. Note that instead of using the electric motor to drive the pulley which can be seen through the closed bonnet, he has come up with something much more sophisticated. It uses an air-conditioning compressor from a Peugeot which is driven from a pulley on the water pump. 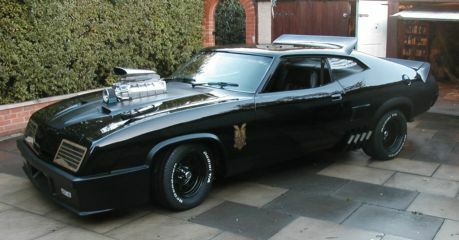 This in turn drives back to the idler pulley for the ‘supercharger’. 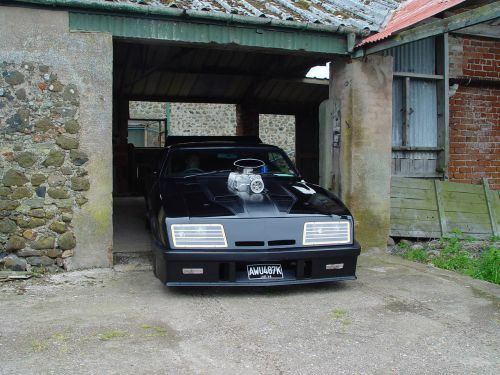 The great advantage of this is that the gear lever mounted switch now operates the compresor clutch which engages the blower belt which turns at engine speed, and more importantly, whines very effectively and with serious intimidation. Wonderful job.